Make your wake, with Hydro Board technology. Hydro board was a research project on personal water craft. It began with the problem of gas powered motors and the negative effects it has caused to our environment and the ecosystem. 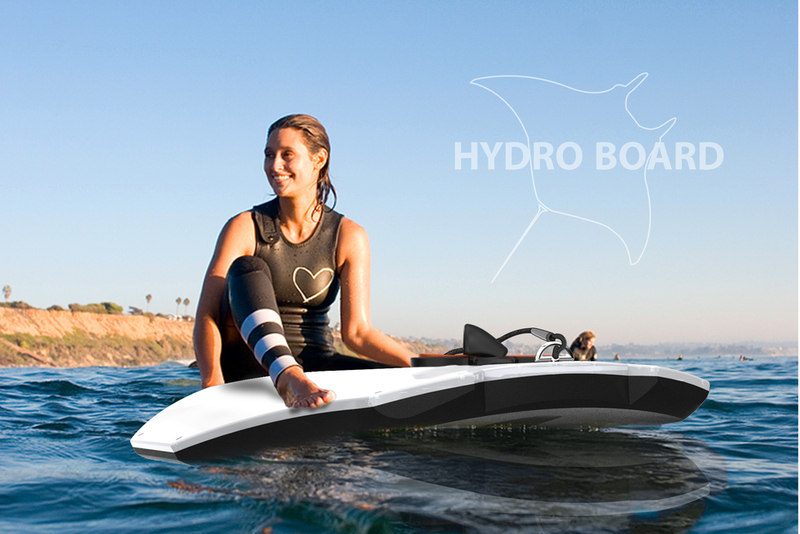 The solution: To design an electric driven water board that evoked the feeling of surfing and wake-boarding, but provided the combined mobility of jet-skiing. Inspired by the giant oceanic manta-ray, raw dynamical form was developed. Through studies on current design, market trends, and ergonomics. 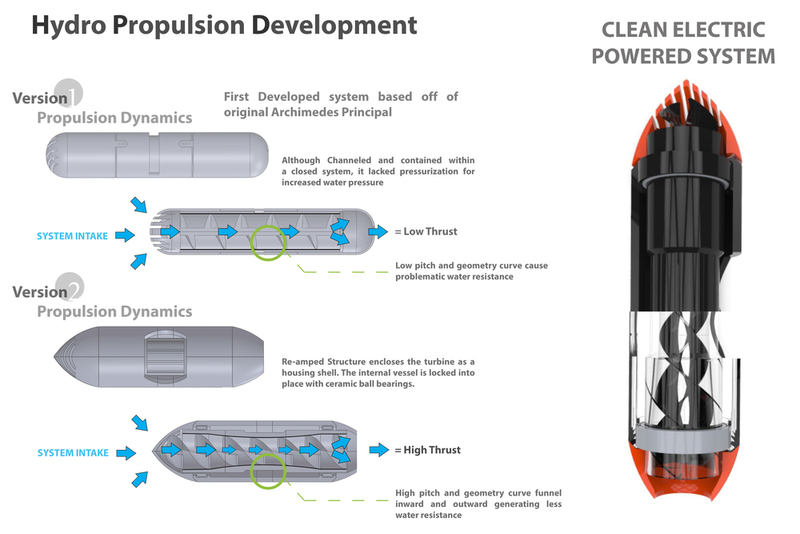 The Hydro-Boards internal development began to take place, and with it, its concept in clean electric powered propulsion.